For many, Jon Pertwee was the definitive Doctor Who. For others he was the man who gave life to their childhood hero, Worzel Gummidge. The characters he played were immensely varied and everyone has there favourite from his numerous radio shows and stage appearances. 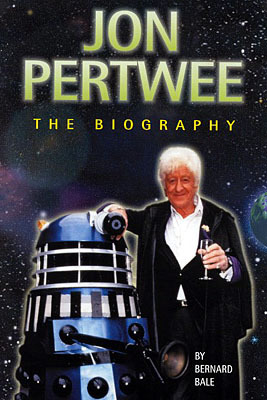 Jon Pertwee — The Biography is written with full co-operation from Jon's friends and family including Ingeborg, his wife for 36 years who talks in depth about his role as husband, and father to Sean and Dariel. It combines the words of Jon with anecdotes from those great names with whom he worked — including Ronnie Barker, Una Stubbs, Peter Davison, David Jacobs, amongst many others. This fascinating biography takes an in-depth look at the success and faliers of an entertainer of many contradictions — a man who loved both designing waistcoats and riding motorbikes, a man who, when engulfed in comedy, longed to be taken seriously and when playing serious roles yearned for humour. It was as the dashing and debonair Doctor Who that won Jon his most admirers around the globe, and he was still receiving invitations to conventions and fan mail up until his sad and sudden death in 1996. 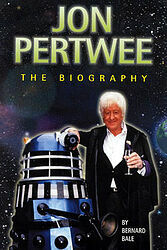 Jon Pertwee — The Biography is a celebration of a remarkable and versatile actor.